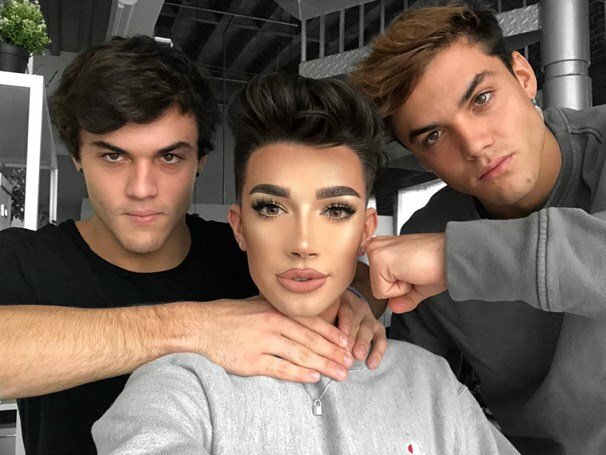 Recently, there have been a lot of rumours swirling around the YouTube world that Grayson Dolan is dating beauty guru James Charles. However, Grayson and his brother Ethan have taken to their channel to create a video addressing the rumour. In the video, the boys are hooked up to a li detector while asked a series of questions. If they tell the truth they can move onto the next question without elaborating. If they're lying, they must explain. Grayson eventually answered the question that actually came from James himself: "Will you marry me?" Grayson said no to his proposal, and the lie detector was STRUGGLING. Eventually, Ethan said, "Alright, we don't need to make that rumour any bigger. Should we just say that Grayson and James are obviously not f*cking dating? Should we just say it?" Grayson added that he thinks it's "pretty apparent" that he and James aren’t together, and doesn't even need to address it. Although, at the end, Ethan jokes that his brother might actually end up marrying James. Grayson responded, "True, because he’s rich."